In fact, we don't have a lot of rock available to study that is older than two and a half billion years. This is due to the Earth's rock recycling system in which old rocks are destroyed through weathering processes, with the remains getting recycled into new rocks. This causes any rocks that we do have to be highly reworked from their original composition. Often they don't contain any biological remains at all. Even the rare fossils that we do find are often very difficult to identify and cannot be easily linked to any specific group of modern organisms. 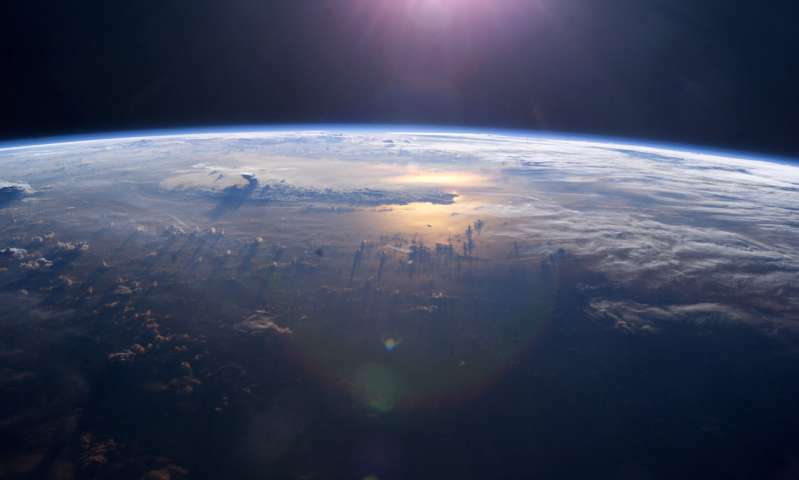 We find that the "last universal common ancestor" – a hypothetical very early single cell from which all life on Earth descended – existed prior to the "late heavy bombardment". This was a period of intense meteor bombardment sustained by our planet about 3.9 billion years ago. This is significantly earlier than the currently accepted oldest fossil evidence would suggest (estimating 3.5-3.8 billion years ago). The oldest confirmed fossils are from about 3.4 billion years ago, while the oldest potential fossils have been found on Greenland and date back to about 3.8 billion years ago. There's also a suggestion that carbon found in a 4.1 billion-year-old mineral called zircon could be biological in nature. However, scientists have so far been unable to confirm that. 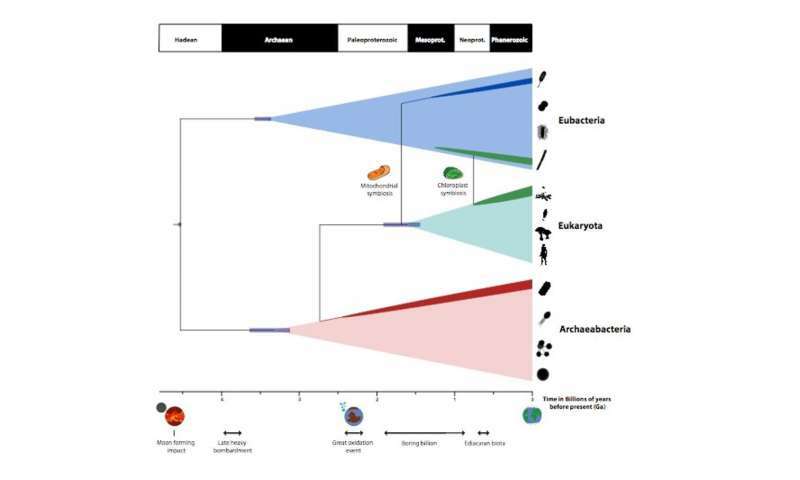 We found that the crown groups of the two main lineages of life – bacteria and archaea – appeared almost one billion years after the last common universal ancestor. Eukaryotes, on the other hand, diverged relatively late in Earth's history, about 1.8 billion years ago. This finding is consistent with previous studies. Our timescale also allowed us to look at ancient events such as the "mitochondrial endosymbiosis" – the process which formed the mitochondria, the organelles that power our cellular respiratory systems. This important event in the history of the eukaryotes occurred close to when they first appeared, suggesting that it helped to drive their subsequent rapid spread. We hope that our study will be a good starting point for probing the mysteries of evolution at this extremely early time in Earth's history.